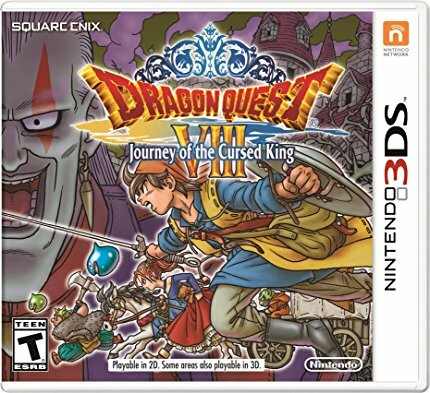 Finally, the 2nd of the Nintendo 3DS Dragon Quest ports sees the light of day in the US. Dragon Quest VIII: Journey of the Cursed King took a significant amount of time to reach our shores, and for a game this beloved, it was a difficult wait. 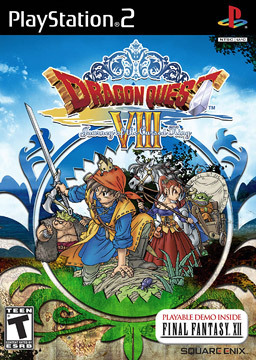 It did seem a little strange that it took longer to release this title than it did the complete overhaul of Dragon Quest VII, but to be fair there were still large changes to this title and also a significant increase in English voiced dialogue over the original game. But in the end, it’s far more important to get a release right than it is to rush it out. Especially when the game in question was considered one of the greatest RPGs of all time when it was originally released on the PlayStation 2. I still have this box kicking around. Looking back on the 2005 release of Dragon Quest VIII, it’s pretty easy to see why it would be such a successful game. But before its release, the general tone in games media was an overall shrug. We had missed out on the entire SNES generation of Dragon Quest games, and Dragon Warrior VII hit with a resounding thud when it was released in the United States. There were really only two bits of excitement that I read about in the pages of the major magazines (I know, real print seems novel now). The first minor excitement was that the new Square Enix merger was allowing them to bring in a bright new developer Level-5 to work on the game and update the series to a more modern style. 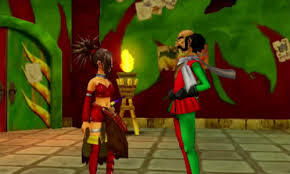 Level-5 is a very famous developer now, but when they were given this project they had only released Dark Cloud, and they were working towards the release of its sequel. Even stranger than that, the greater excitement surrounded the included playable demo of Final Fantasy XII. In hindsight, that may seem quaint. I’m one of the few RPG fans who actually consider Final Fantasy XII a better game than Dragon Quest VIII (although it’s a close one, even for me). But the combination of the very pretty new aesthetic and the wonderful English dub turned a generally very niche series into a certified critical darling. The two new playable characters were NPCs in the original. When a game is almost universally considered a classic, messing with that formula is fraught with peril so that is what most of my review for this title is going to be about. 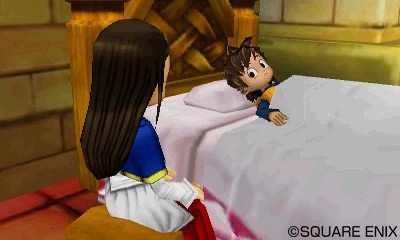 With Dragon Quest VII I spent a lot more time talking about the game itself, rather than what was changed. And that made sense for the previous entry, because finding an actual review of the original game (or even someone who had played it to completion) was exceedingly difficult. But this is a game that almost every RPG fan who was old enough to own a PS2 has played. Not only that, but Dragon Quest VIII and Final Fantasy XII are very famous in the industry for having possibly the two greatest English dubs of all time. This game was also extremely memorable for really making the most of that gorgeous Akira Toriyama art style. It was not the first game to make use of “cell shaded” graphics, but it most definitely popularized the style. Several scenes were fleshed out more. The most obvious change to the game was that you can now see every enemy wandering around the field (other than while riding the boat). In the first game you could only ever see the Infamous monsters on the field, but that did pave the way for visible enemies in Dragon Quest IX, and then these previous two remakes. That does tend to make the game a bit easier merely because you can avoid enemies with less difficulty, but it ended up having an almost game breaking effect as well. In a traditional Dragon Quest game, much of your power leveling comes down to fighting metal slime enemies (of various types). Previously the effectiveness was mitigated by how rare these enemies were and by how fast and hard to hit they were. They still remain a bit difficult to kill (although both of the two new characters have slime obliterating abilities), but they are no longer rare at all. You can just stand in a location they are known to appear, rotate the camera around a few times until you see them on the map and then kill them. I’ve beaten Dragon Quest VIII a few times on PlayStation 2, but I’ve never been over level 65 (and that took me over 150 hours). Due to this change in enemies all my characters were level 99 at 80 hours of gameplay. That is virtually game breaking for such an old school RPG.